A young mother goes on a personal journey and leaves her deadbeat husband. He couldn’t let that happen. And the press disgustingly blamed her for it. Cyntoia Brown was granted clemency by Tennessee Governor Bill Haslam today. To hear Cyntoia's story, check out episode 9 #freeCyntoiaBrown: A Minor Facing Life in Prison. The Christmas Eve murder of a beloved bartender and manager of a gay nightclub in Houma, Louisiana. Hate crime or robbery? Or maybe both. Bonus Episode-- an interview with acclaimed thriller novelist, Laura Lippman. Her modern noir novel, Sunburn, comes out in paperback today! I had a lovely chat with author and historian, Patrick Bowmaster, about his ebook "What the Little Dog Witnessed." He was kind enough to talk to me about his research as well as how he went about getting it published. The Reckoning: The Trials of Perry March is the conclusion to the Janet Levine March series. It took ten years to get Perry March to justice, and he didn’t go down alone. An 18 year old girl tortures and kills another teenager and is sentenced to death. Does she belong on Death Row? You decide. The murder of an 18 year old girl, the mayor, a cover up and the 20 year investigation that blew the lid off. A scandalous double murder in a small Kentucky town notorious for police corruption. Will there be justice? A scandalous double murder in a small military town with a long history of corruption plays out like a hillbilly soap opera in the national spotlight. The Thanksgiving Day murder of a beautiful young teacher. The tragic conclusion to The Ballad of Zack and Addie: the murder/suicide of Addie Hall and Zack Bowen in post-Katrina New Orleans. 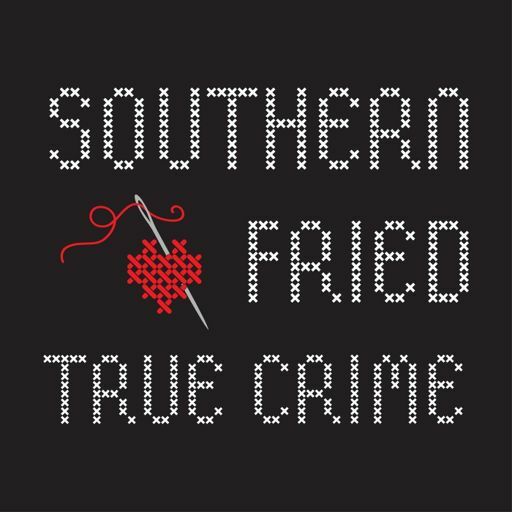 Each week, your host, Erica, will be serving up a southern fried true crime dish for your earbuds. Both historical and contemporary cases, Erica will be exploring dark stories from the Deep South.